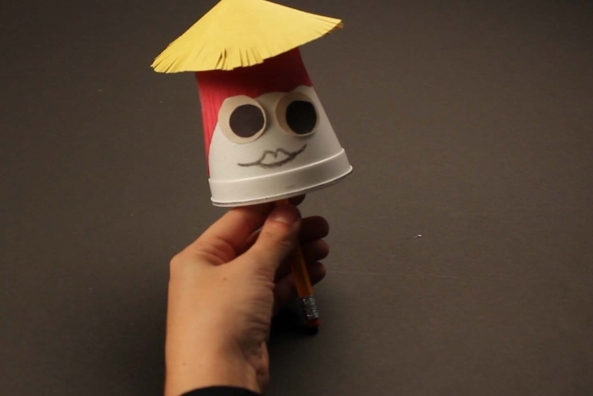 With a cup and some paper create a fun friend. 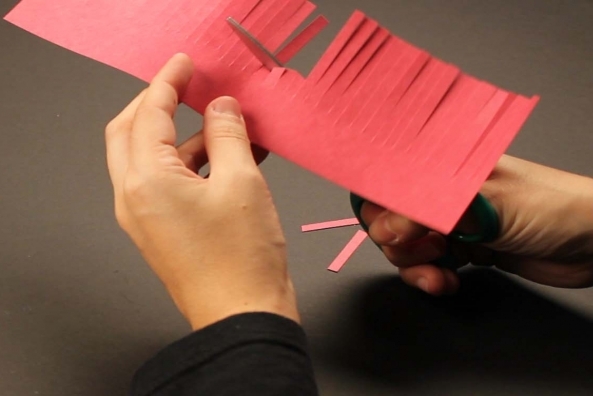 Make multiples and put on a show! 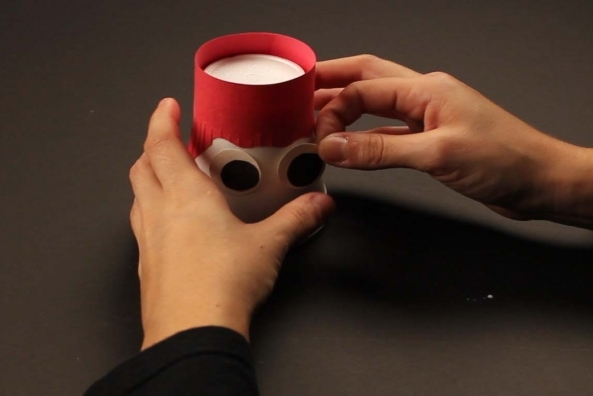 What happens when you realize the puppet is alive? 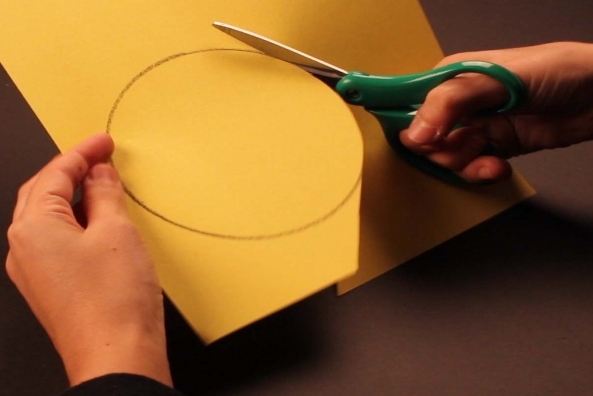 Cut out the two circles and put aside. 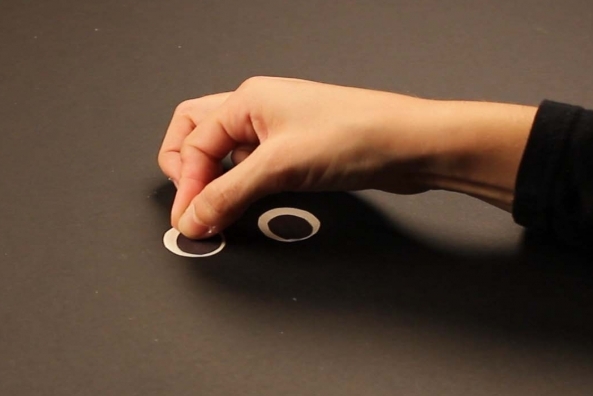 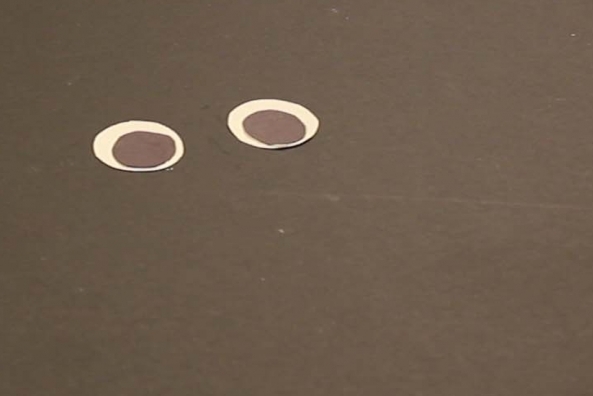 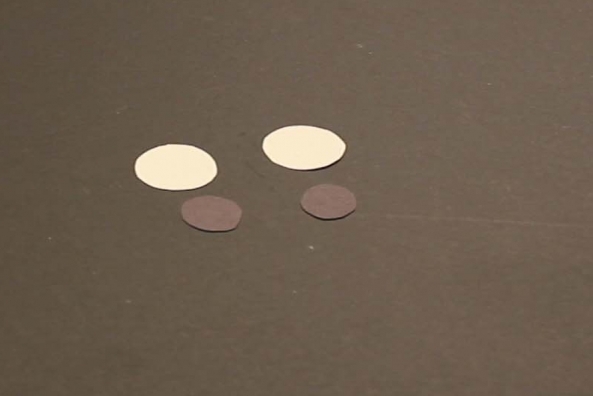 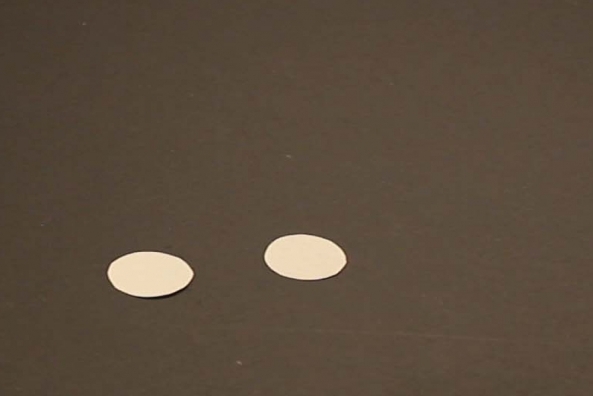 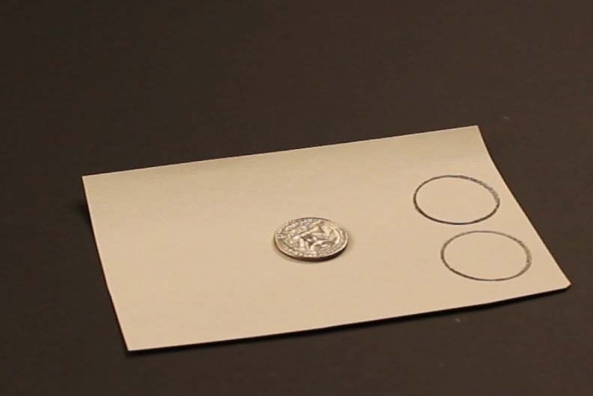 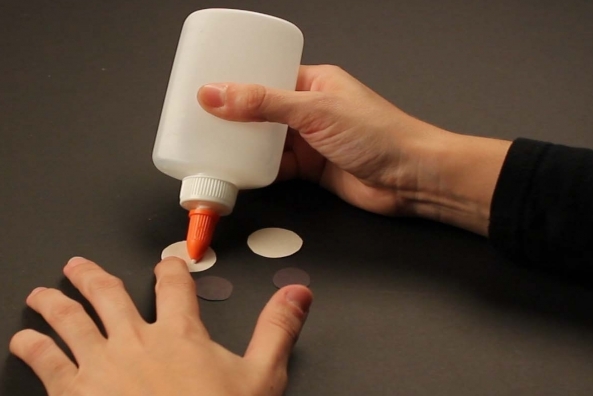 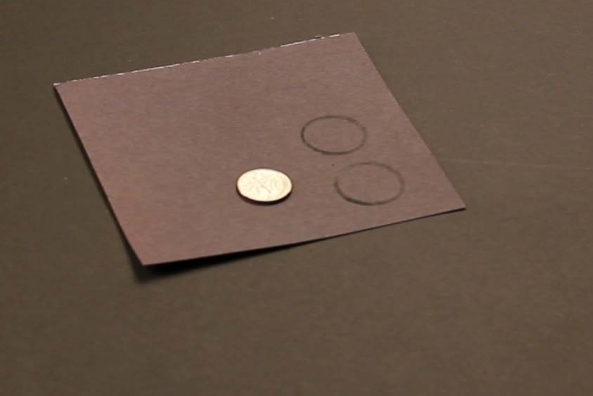 Glue the black circles onto the white circles and put aside. 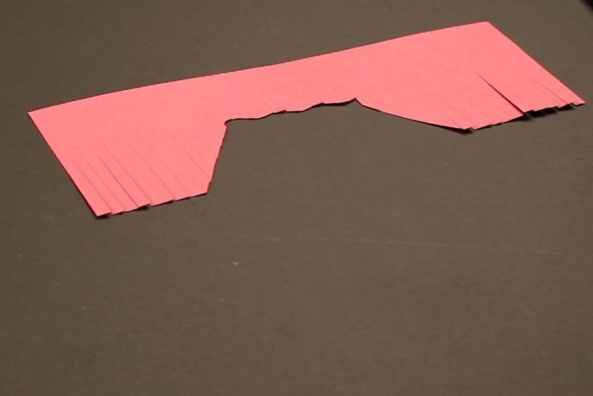 Cut a strip of construction paper to make hair. 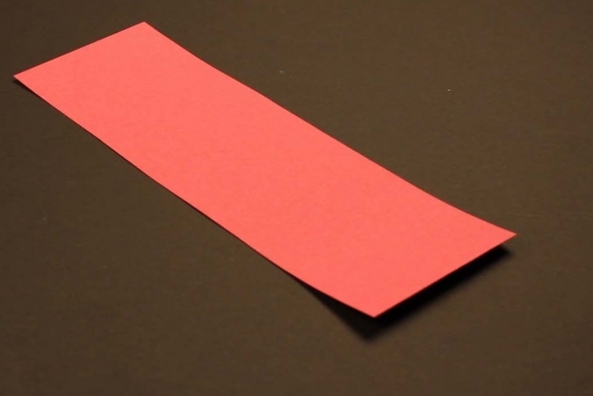 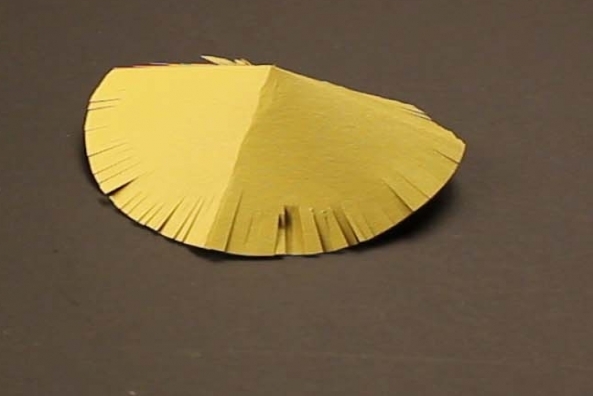 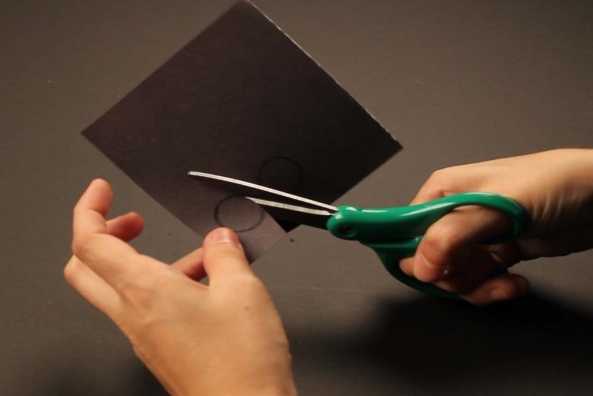 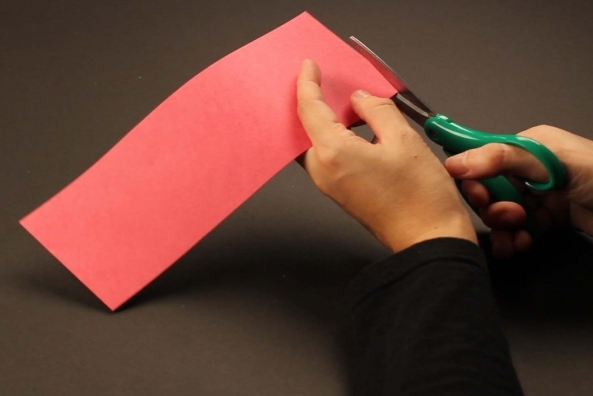 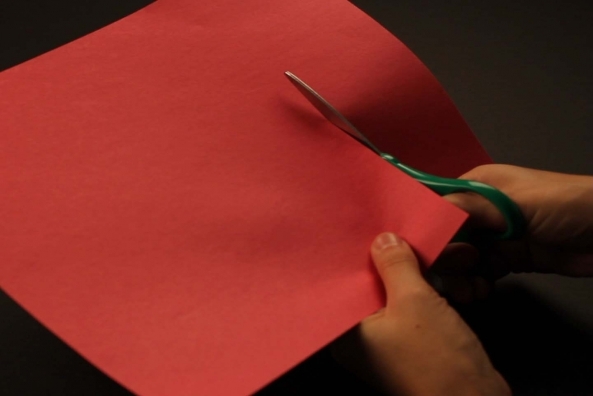 Cut fringe on the strip of paper by snipping halfway down the strip all the way across. 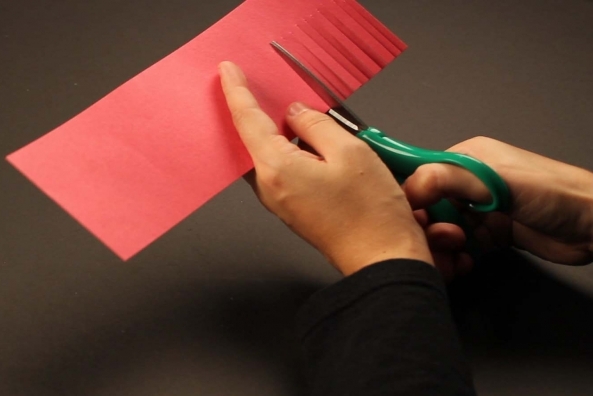 Trim the hair to any style you like. 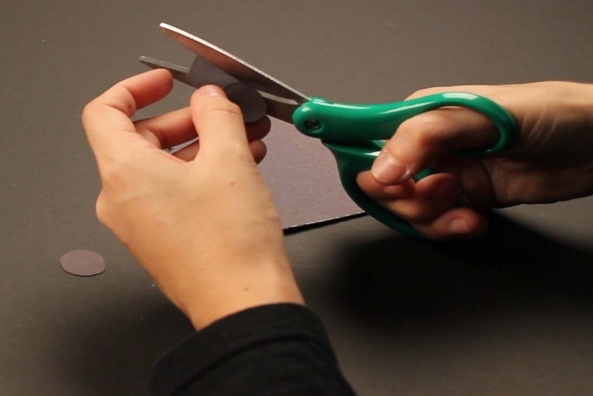 Add bangs or make it all different lengths! 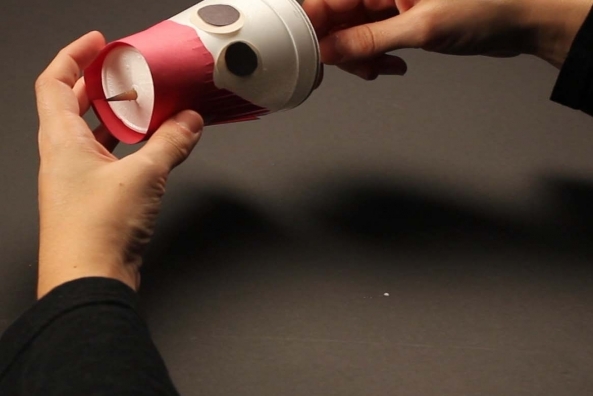 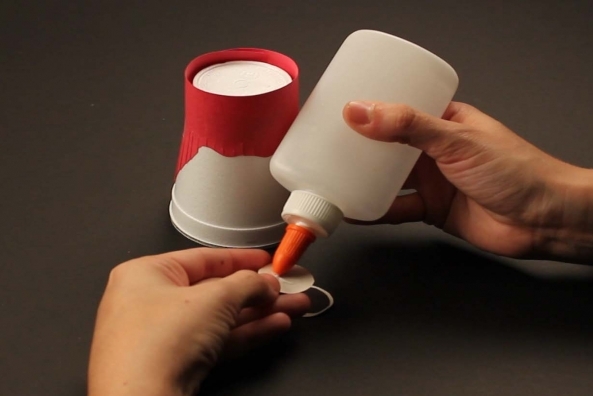 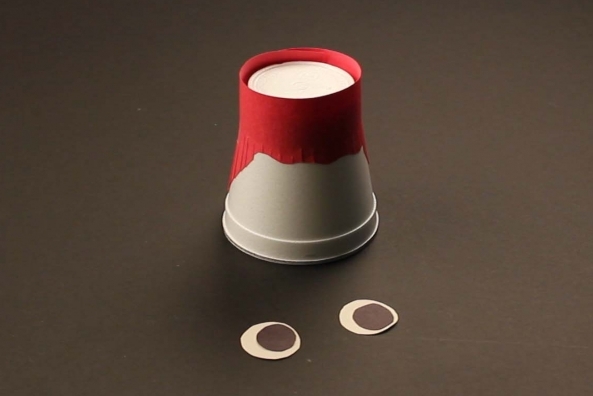 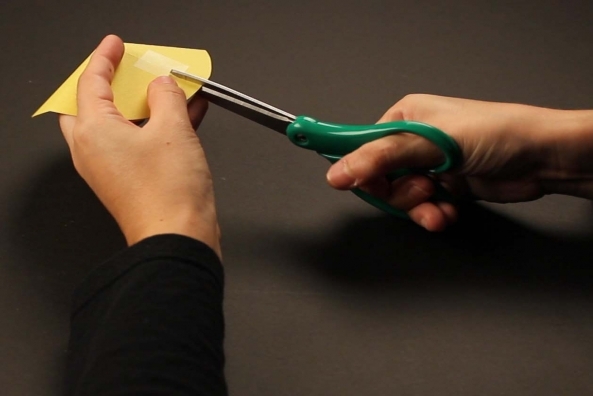 Place the hair in place on the closed end of you cup by looping it around and securing it with tape. 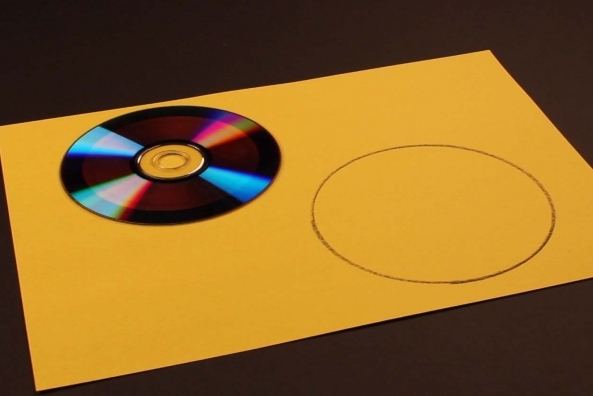 Trace a cd or a larger cup. 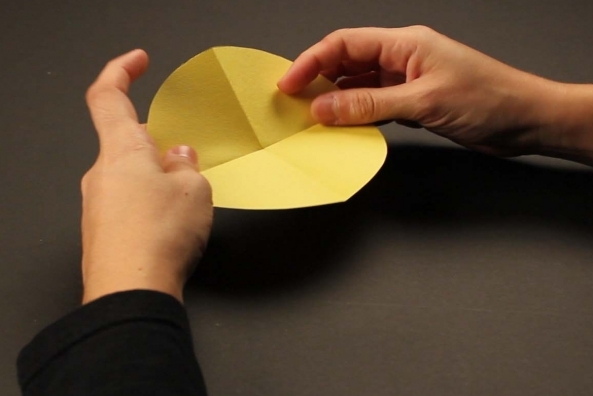 Fold the same circle in half, again. 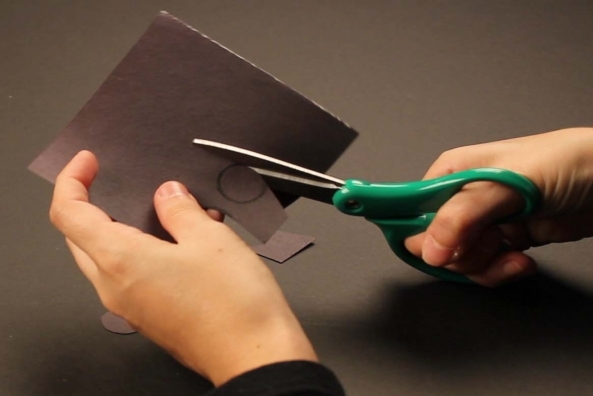 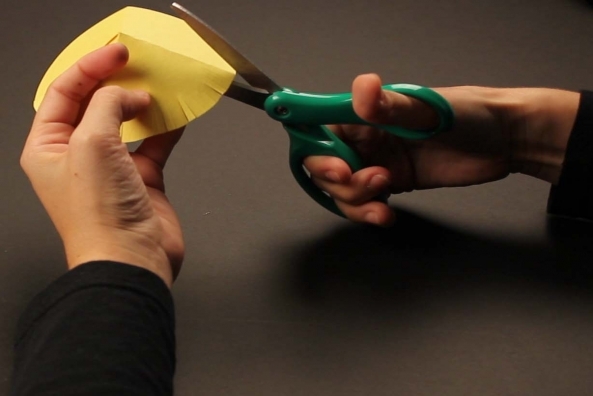 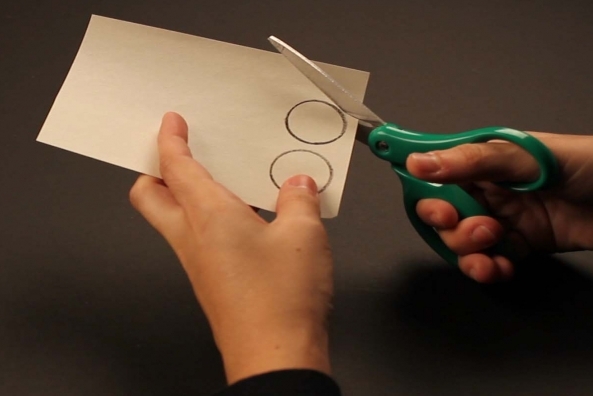 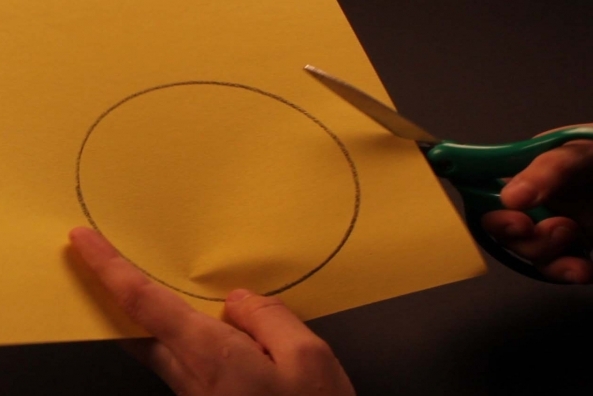 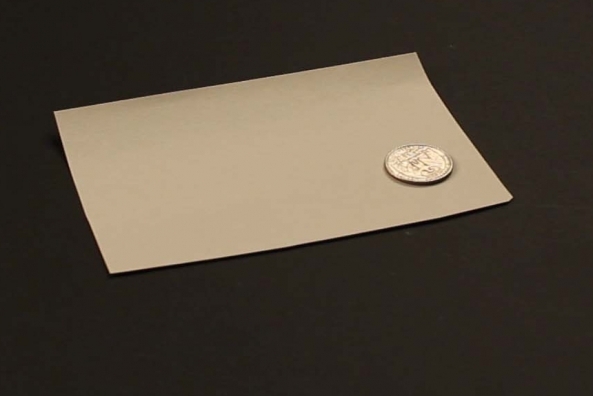 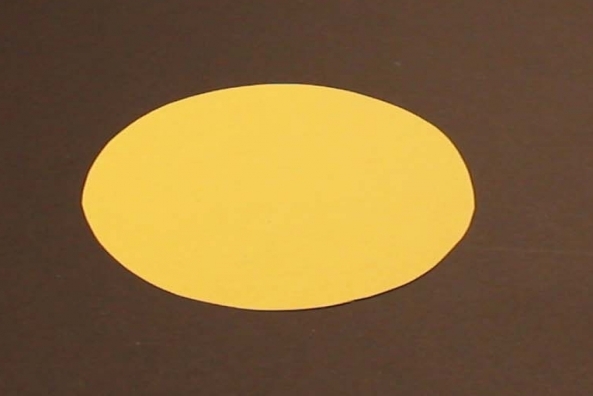 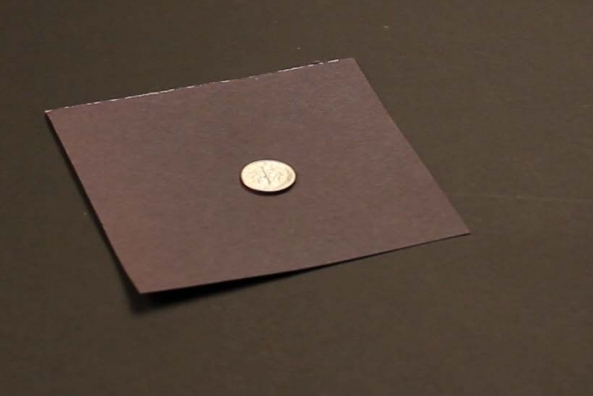 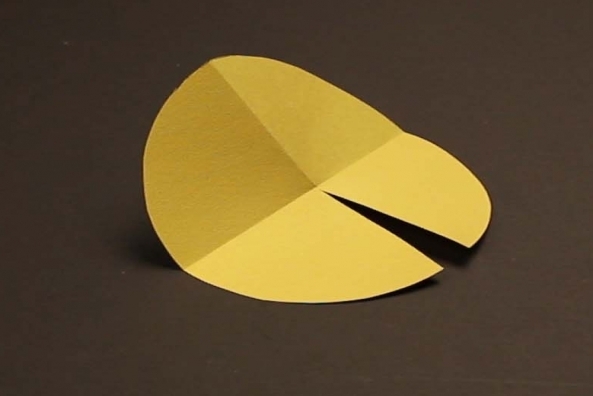 Open up the circle and cut down one of the fold lines until you reach the center. 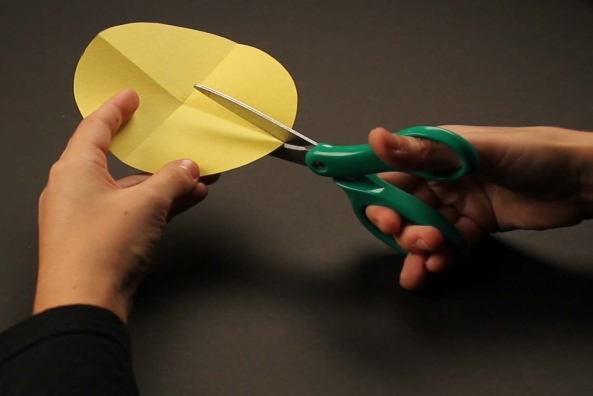 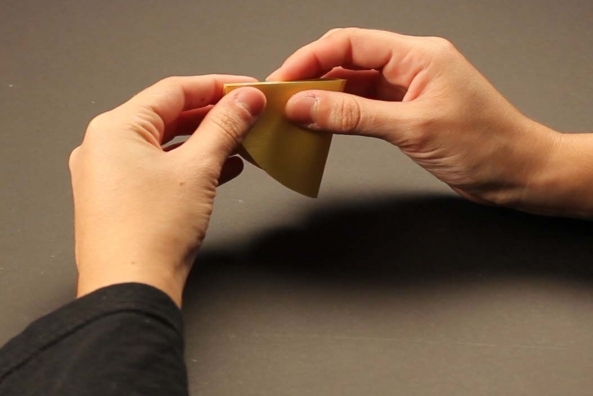 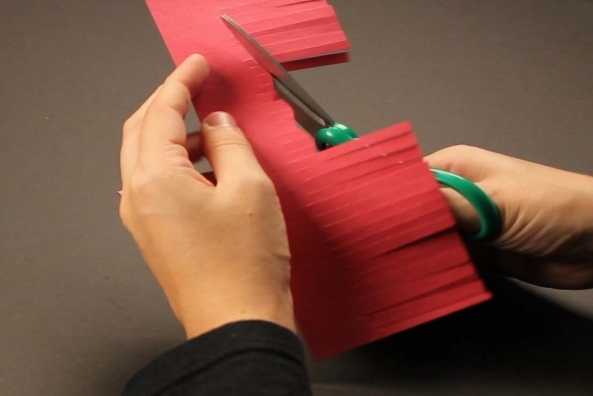 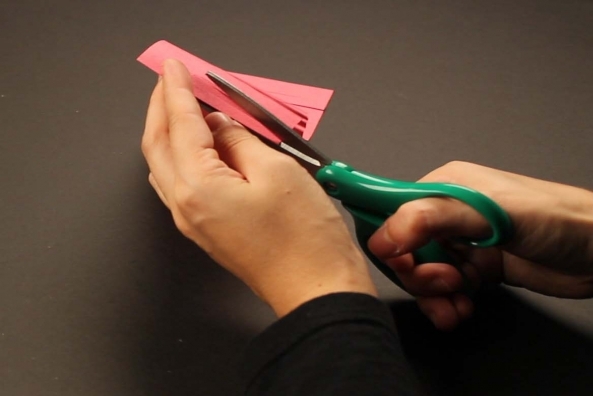 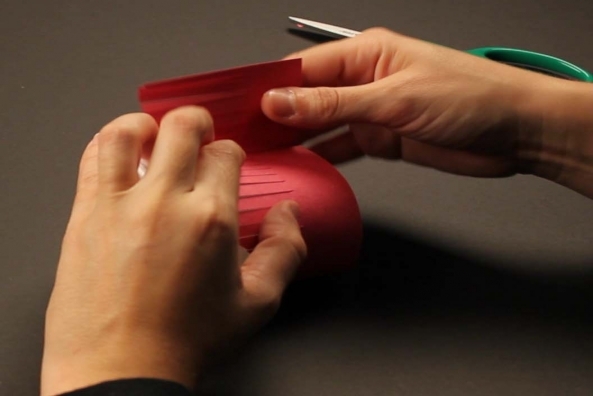 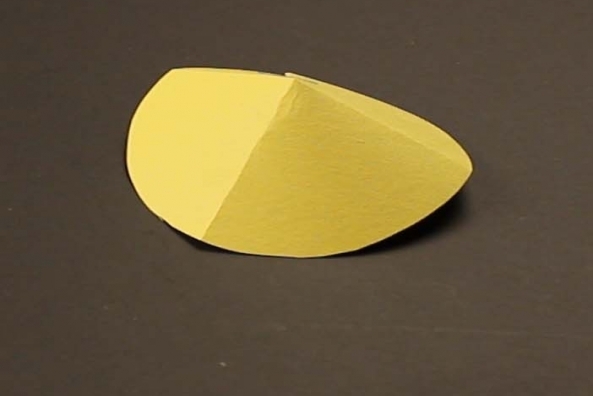 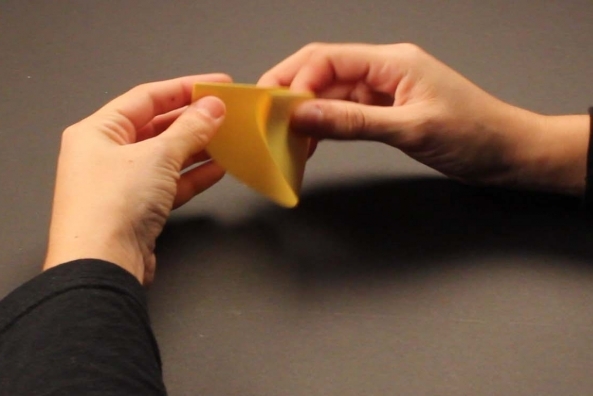 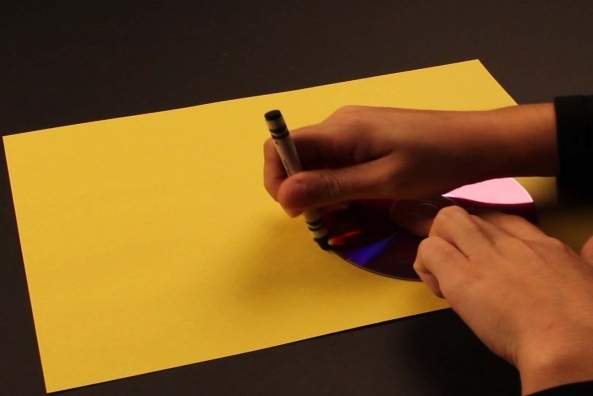 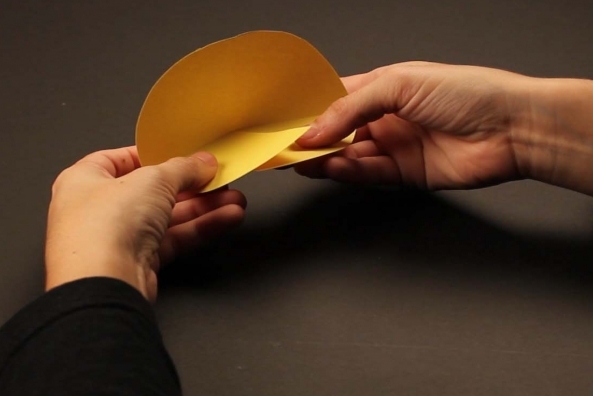 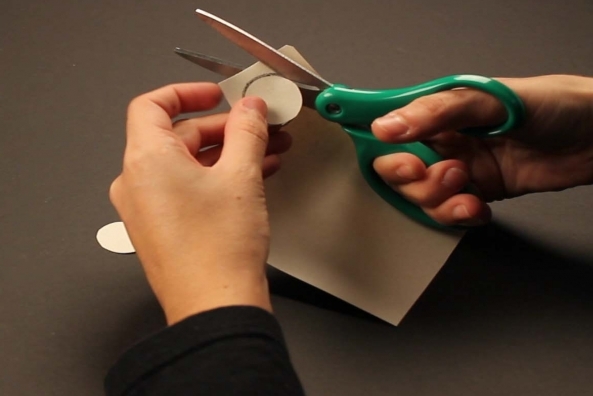 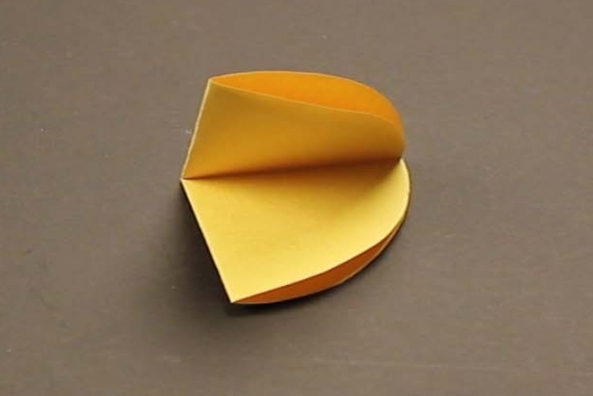 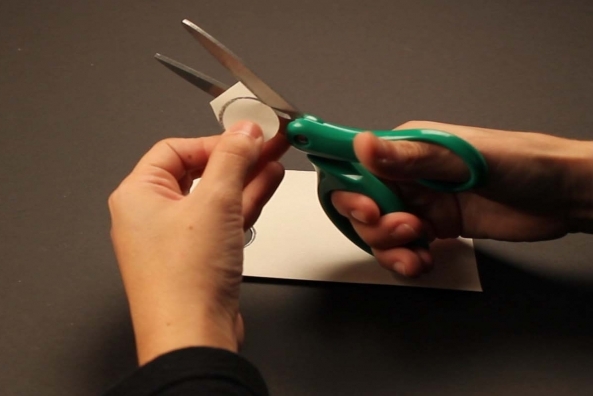 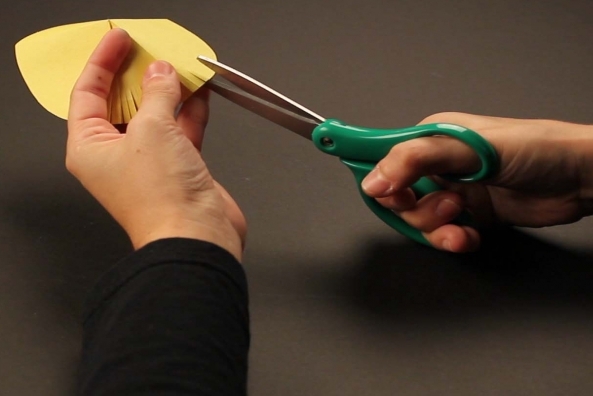 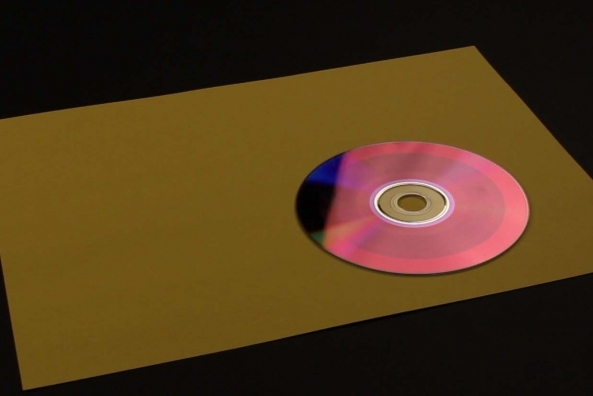 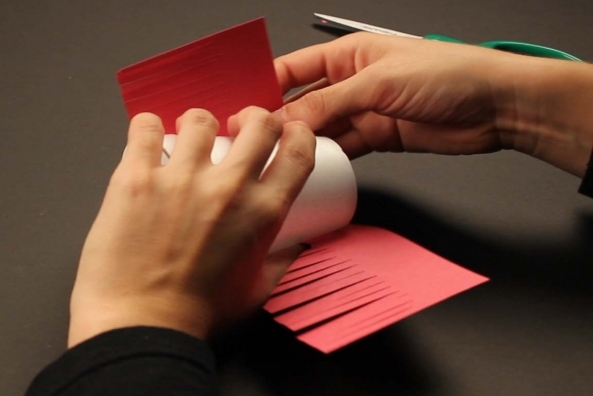 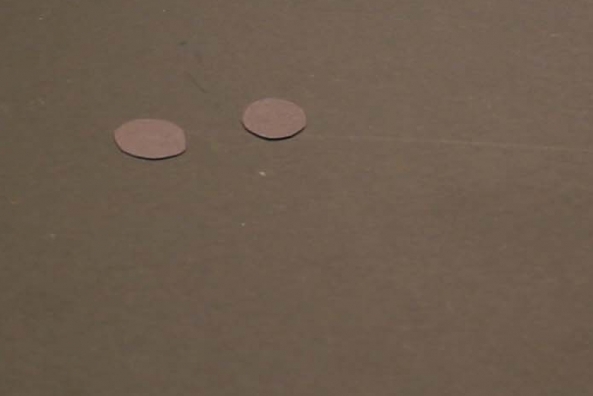 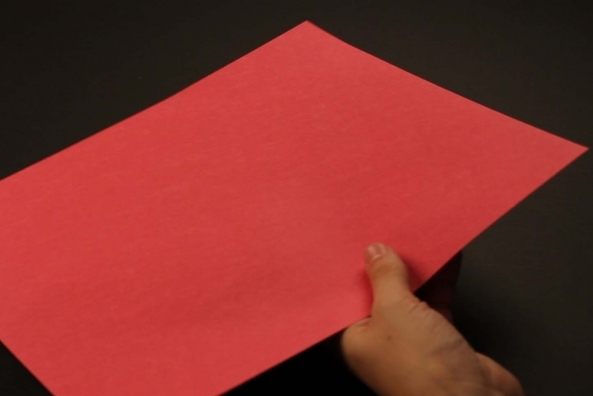 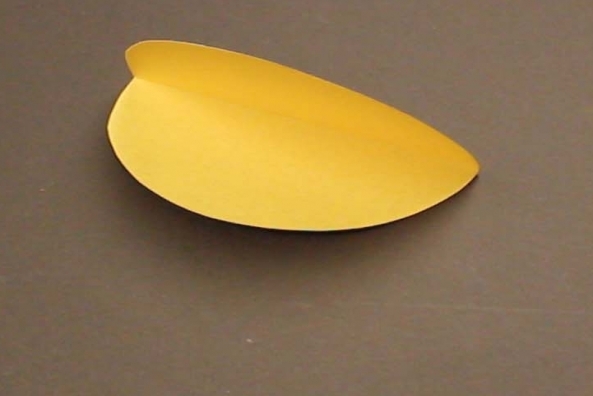 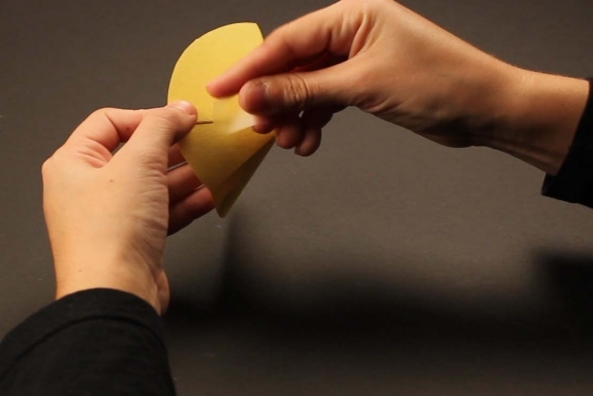 Make a cone by over lapping the open portions of the circle and tape it closed. 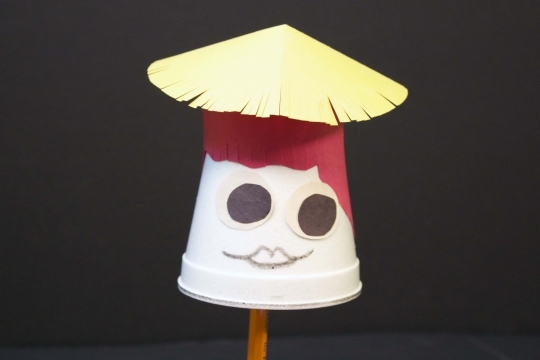 Cut fringe on the ends to make it look like a straw hat. 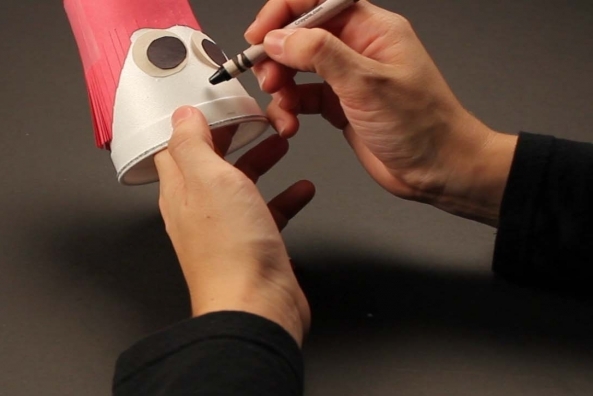 Glue the eyes onto the cup. 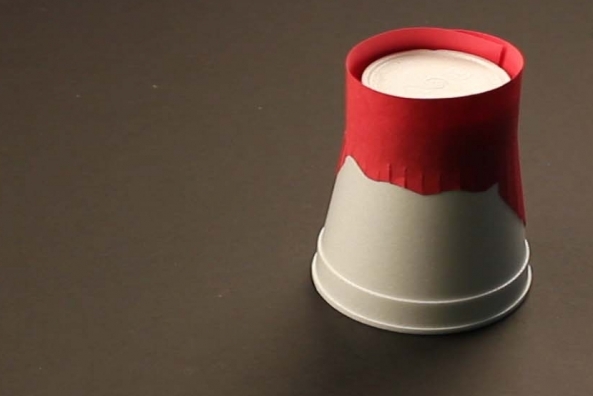 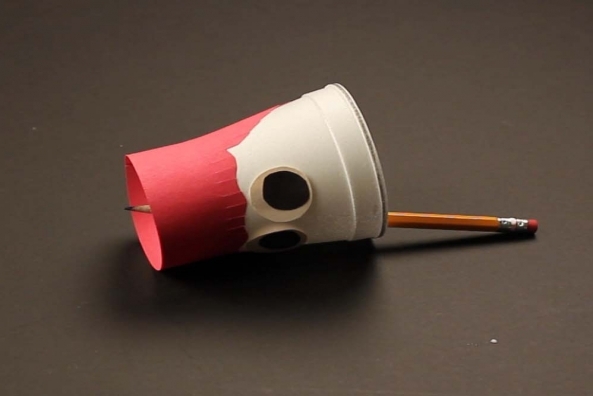 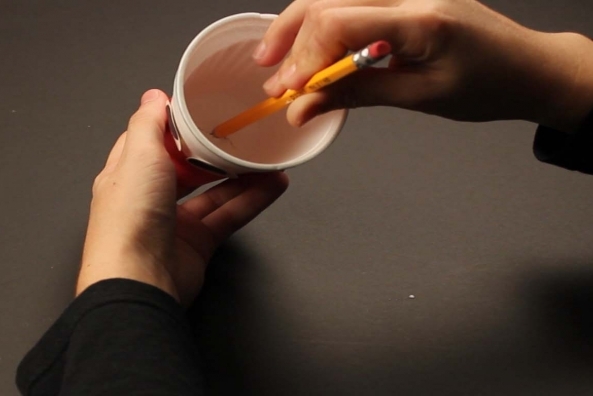 Poke a sharpened pencil through the bottom of the cup to use as a handle. 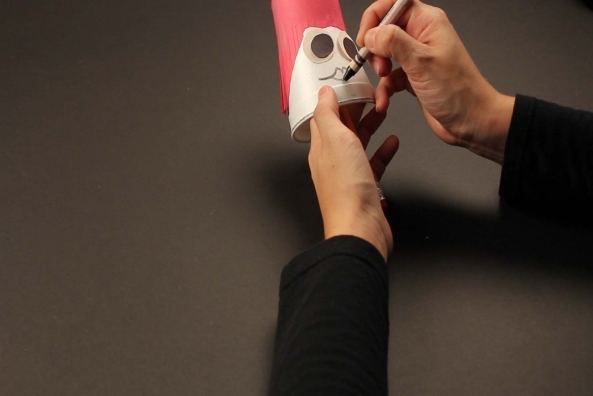 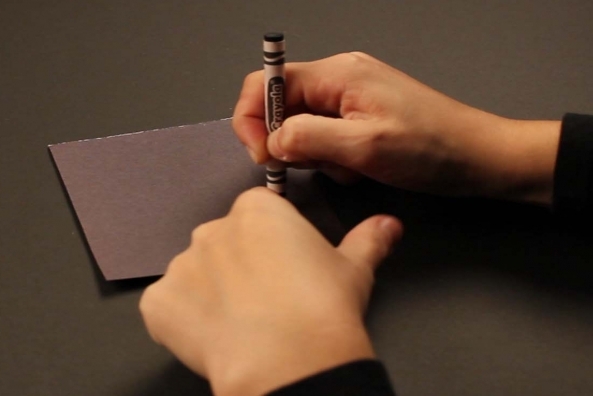 Draw a mouth onto your puppet with a black crayon. 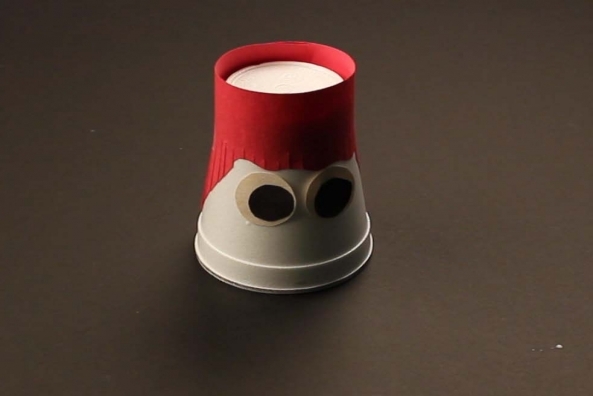 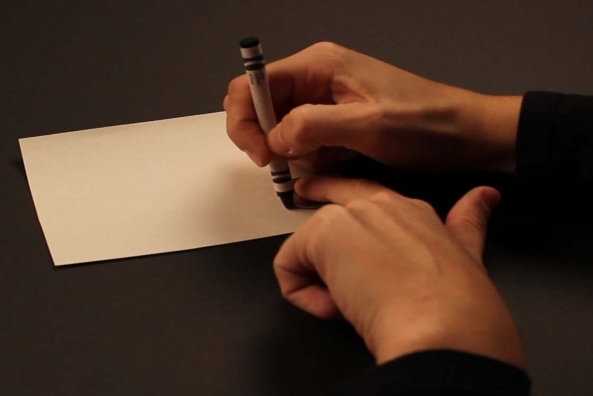 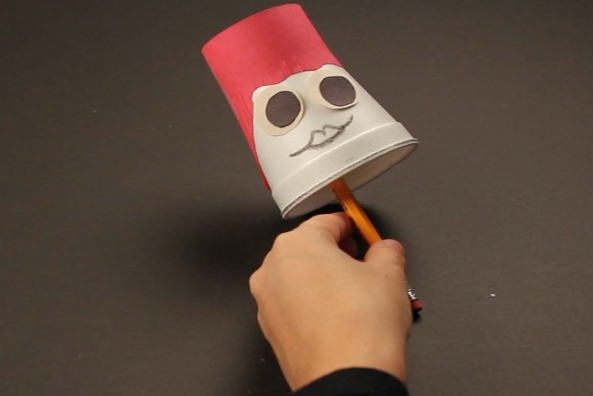 Place the hat on top of your puppet’s head and allow it to sit on the point of the pencil.